and he always writes back. and receive a letter in return*! Thumper loves corresponding, and he always writes back* when children write to him! You will receive a reply in 2-3 weeks*! 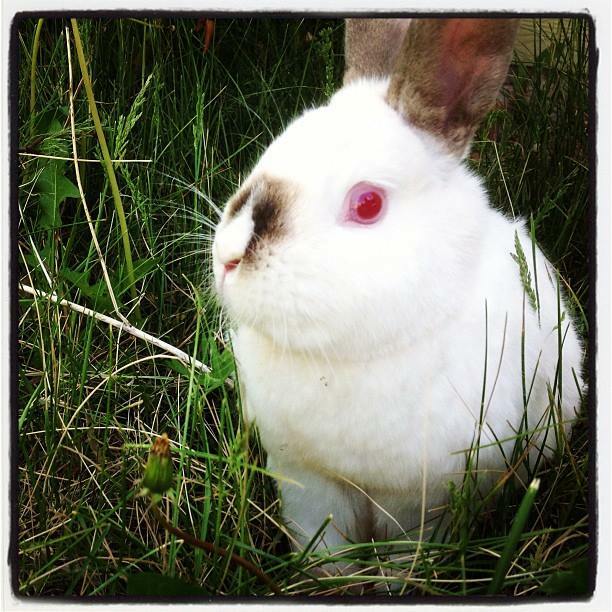 Thumper is a sweet white & grey rabbit from Reno, Nevada with a spunky personality. He grew up at the Nevada Humane Society, and met a lot of nice children while there! Thumper and his forever family run the Rabbit Post, where he is the Chief Executive Mascot. Thumper's favorite foods include romaine lettuce, carrot greens, timothy hay and apples!